One of the landscaping trends for 2018 is the idea that plants are members of a complex social network. No, they are not on Facebook, Instagram or tweeting about the conditions on their side of the prairie, but they do grow best in a company of friends. I enjoy the idea that even though each plant is unique, they are part of interrelated communities. They complement each other and live in harmony, which makes them so much more resilient together than if they grow isolated and alone. Nature is a great teacher. Look at wild plant communities. Whether a forest or a prairie, you will find plants growing harmoniously together. There aren’t any mulched areas between plants, but rather intertwining, interlocking and dense groups of plants growing side by side. A compass plant reaches up through tall grasses like big bluestem and indiangrass. The deep tap root punches through the fibrous roots of the grasses, and the tall grasses help prop up the compass plant’s long stems and keep them from flopping over. If you plant compass plant in your landscape, plant it with these tall grasses. Plants grow in environments that suit their growth habit. 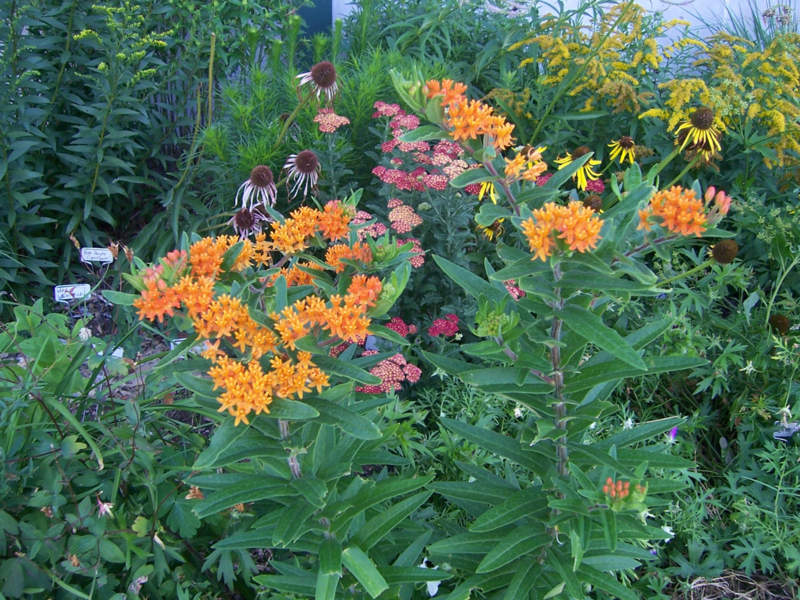 Butterfly weed is another great example. In the wild, it would get smothered and lost in five to six foot grasses, but you see it flourishing with shorter grasses like little bluestem, prairie dropseed and blue gramma. Grasses of similar height is what they prefer. 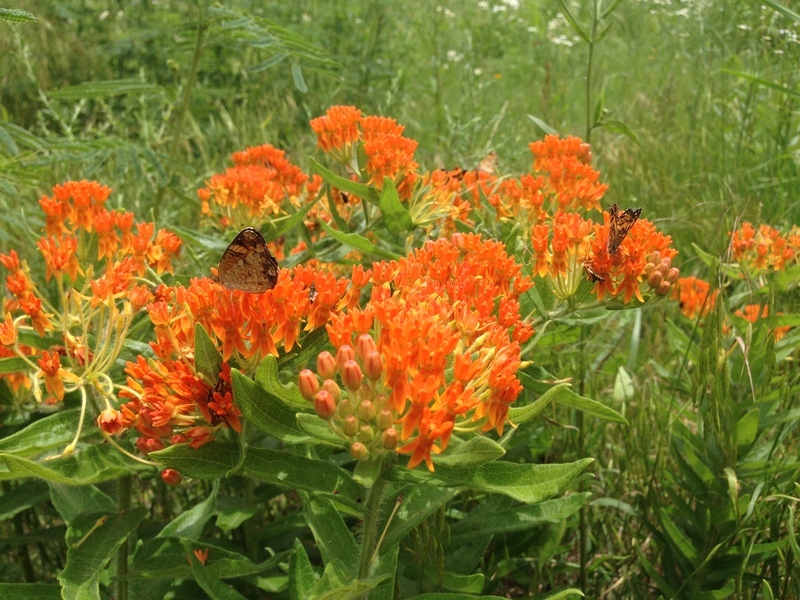 The beautiful orange blooms are at the same height as the grasses. These plants also have similar sun, soil and moisture requirements, too. An understanding of plant communities and the preferences of individual plants will help direct your landscape design. 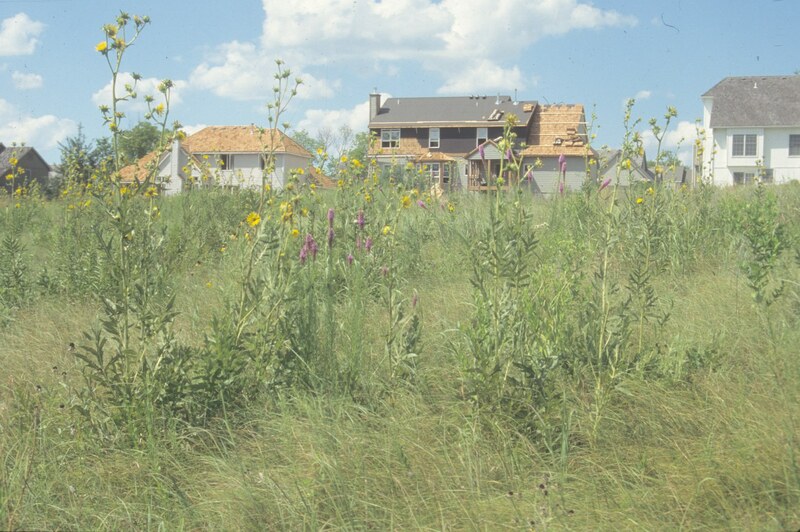 This approach to landscaping forces you to become familiar with each plant, but rewards you with a successful landscape that mimics the communities on the prairie. By adapting your gardens to include groups of plants that naturally occur together and that match your own landscape, you will have a functional, low maintenance landscape that is ecologically responsible and beautiful at the same time. This style of landscaping has caused me to reevaluate how I design new plantings. For instance, switchgrass, which is one of my favorite grasses, is a solitary grass in the wild. It forms large colonies with other wildflowers growing on the edges of these colonies. Richard Hansen and Friedrich Stahl, in their book “Perennials and their Garden Habitat”, arrange plants according to their sociability level. 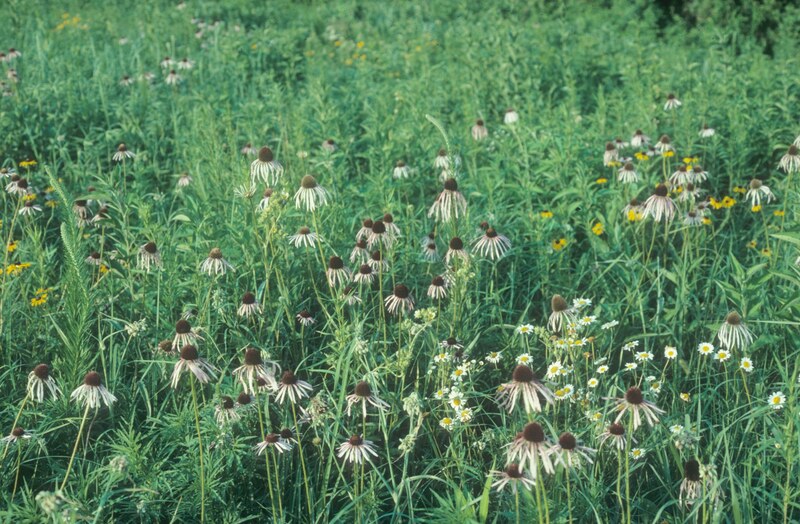 Plants like switchgrass or coneflowers at lower levels (1 and 2) are set individually or in small clusters. Plants like prairie dropseed or blue grama at higher levels (3 to 5) are set in groups of 10 to 20-plus, arranged loosely around the others. By observing the different levels of plant sociability, it guides how you incorporate plants into your landscape. It is an ecological way to garden that focuses less on aesthetics and more on relationships of plants. Of course height, bloom time, texture and flower color are important, but they are not the most important consideration when planting. The main emphasis now is grouping plants together that thrive in the wild together. So what does this look like practically in your landscape? It looks like 10-20 coneflowers (level 2 plants) propped up with little bluestem, prairie dropseed and blue grama (level 4 plants). In the wild, you never see just coneflowers growing in large solitary groups together, but mixed with other wildflowers and grasses. Blue sage (level 2 plant) has a tendency to flop, but when combined with other taller grasses and wildflowers, its blue flowers are held at eye level. The taller, more upright plants or solitary plants in levels 1 and 2 need the level 3 to 5 plants to grow and spread around them. This interlocking matrix of plants covers every square foot of your garden. Weeds are crowded out and maintenance is reduced over time as these plants squeeze out unwanted species. You can now manage your plant communities as a whole rather than taking care of each individual plant. I believe this approach to designing a landscape has many benefits. Using this approach, we will become intimately acquainted with the plants we grow and the social communities in which they thrive. This connection to our plants forces us to learn about them and more importantly to see them as individual pieces of a much larger collection of associated plants. It is a radical shift in how we design a garden. Plants are pieces that nature weaves together in ecological combinations. Nature is a great teacher. We will be expanding on this idea of social networks in future blogs and landscape plans. This is an exciting concept that will change how we garden in the future. It connects us to the land in so many different ways. The word “sassy” seems like a good word when considering Helianthus, the genus for sunflowers, because of its double meaning. In a positive context, sassy means “bold,” “fresh,” and “audacious.” They have also become annoyingly invasive. But let’s keep it on the positive side for a moment. 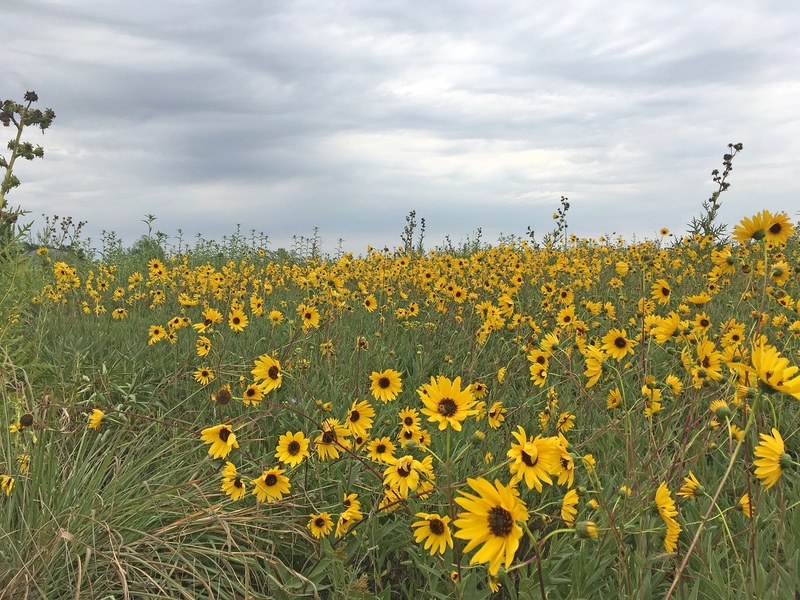 There are at least nine species of Helianthus in Kansas present in nearly every habitat type. The official state motto of Kansas is the Latin phrase; Ad Astra Per Aspera (meaning “To the Stars Through Difficulty”). This fits perfectly with the state flower of Kansas, annual sunflower (Helianthus annuus). Its leaves and flowers reach for the sky throughout the state in spite of a variety of harsh conditions it faces with regard to soils, precipitation, and temperature. At the very least, sunflowers are extremely resourceful, using a variety of strategies to survive. Their colorful ray flowers attract pollinators, and the hundreds of disc flowers per head are easily pollinated. 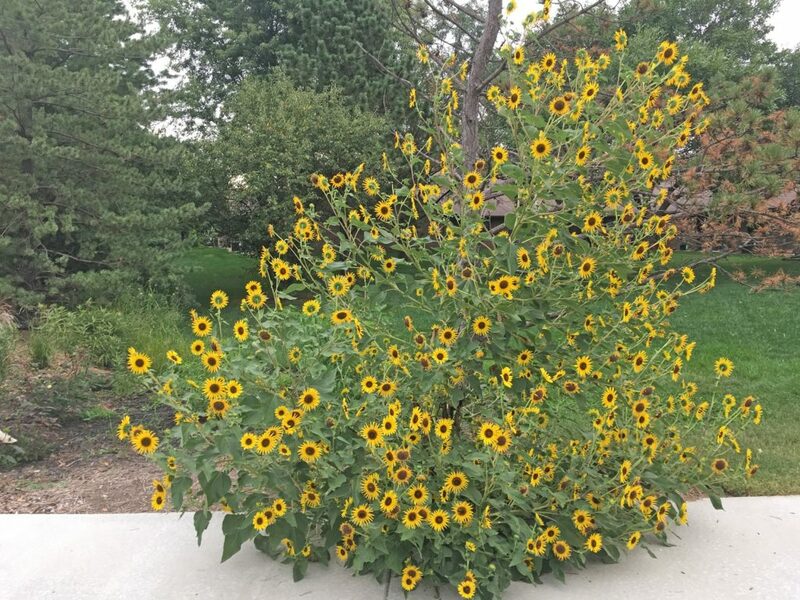 Quick ballpark counts of the number of flowers in one flower head and the number of flower heads on one annual sunflower plant has me estimating that the annual sunflower pictured below will produce more than 100,000 seeds! 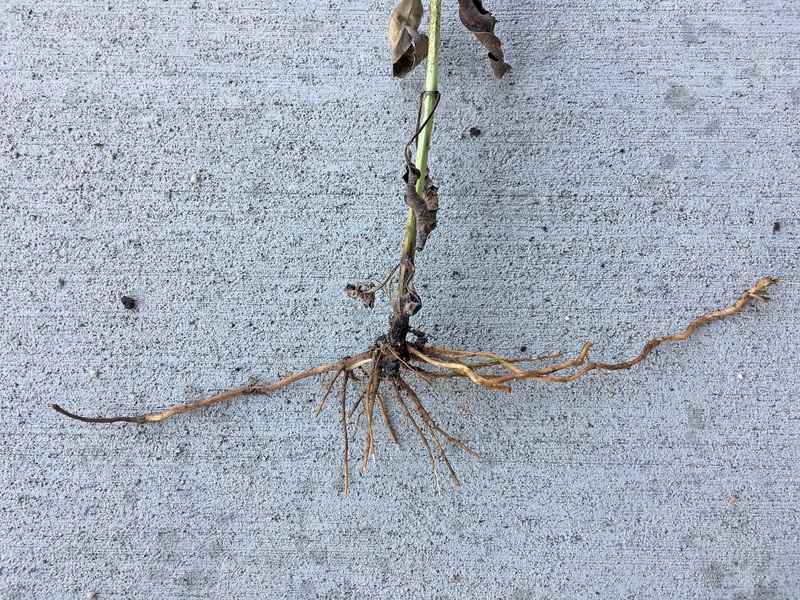 Many of the perennial sunflower roots feature spreading rhizomes that can help a single plant produce large vegetative colonies. Some are also allelopathic and produce chemicals that hinder the growth of neighboring plants. Sunflowers are also a beautiful hallmark of the late summer and fall prairies of Kansas. They aesthetically grace our roadsides with golden yellow, bolster the food chain by providing nectar for insects during what can be a dry time, when little else is blooming, and their seeds provide loads of food for birds and small mammals throughout the fall and winter. For the reasons described above, Helianthus is very successful in establishing colonies and can do so at the expense of other species. I’ve known this for decades and have typically kept sunflowers out of prairie reconstruction plantings here at the Dyck Arboretum and for landowner consultations. However, knowing that this group of plants is a natural part of the prairie and provides tremendous benefits for wildlife, I decided with our most recent and largest Arboretum prairie reconstruction planting in 2009 to include a little bit of seed (only 0.000079% of the wildflower seed mix) of rigid sunflower (Helianthus pauciflorus). Now I’m second-guessing that decision. A recent (July 2017) vegetative sampling of this prairie reconstruction showed that rigid sunflower was by far the most dominant species of the 56 species of wildflowers and grasses sampled. 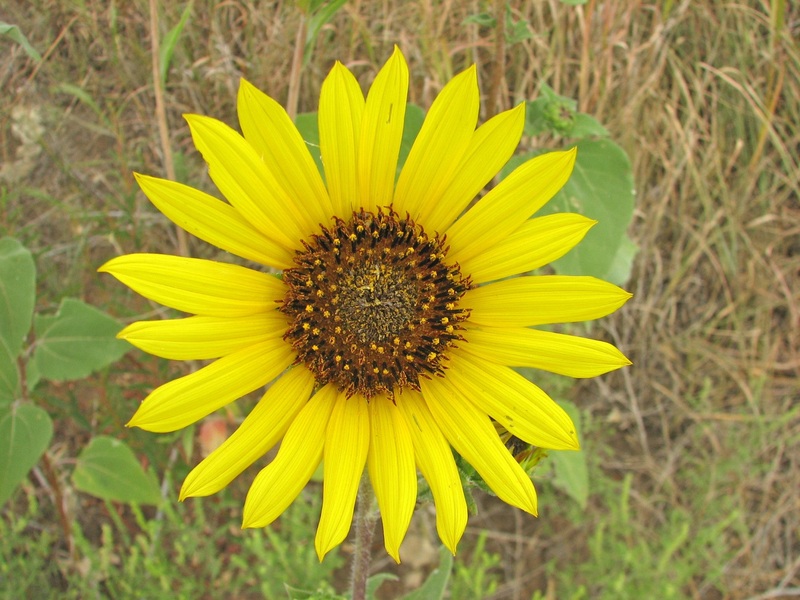 In the northern, most visible parcel of the Prairie Window Project prairie reconstruction, rigid sunflower made up nearly 19% of the species sampled. The second most common species at nearly 9% was also a Helianthus, Maximilian sunflower (H. maximiliani), a species we didn’t even include (at least knowingly) in the seed mix. 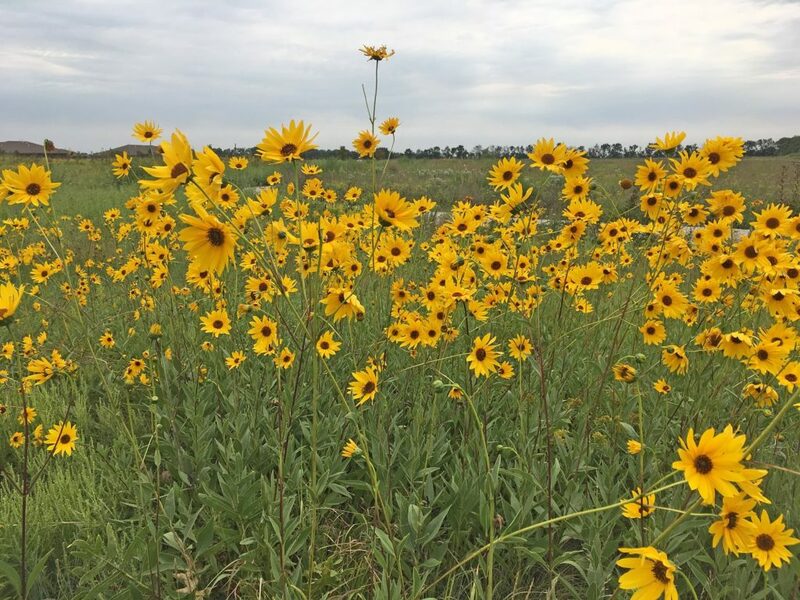 There is still nice species diversity in this young prairie reconstruction that appears to host a diverse array of wildlife including insects, amphibians, reptiles, mammals, and birds. I’m not ready to throw in the towel and start spraying Helianthus patches. I will, however, begin to try and manage this genus with specially timed mowings and prescribed burns to try and slow its spread and reduce its dominance. Perhaps I’ll even connect with a farmer friend or two that would like to experiment with grazers such as cattle or goats in small enclosures and hope they have a hankerin’ for Helianthus. In the meantime, I will try to appreciate positively sassy and enjoy the bold, fresh, and audacious floral display of Helianthus that is currently gracing our prairie reconstruction in a big way. 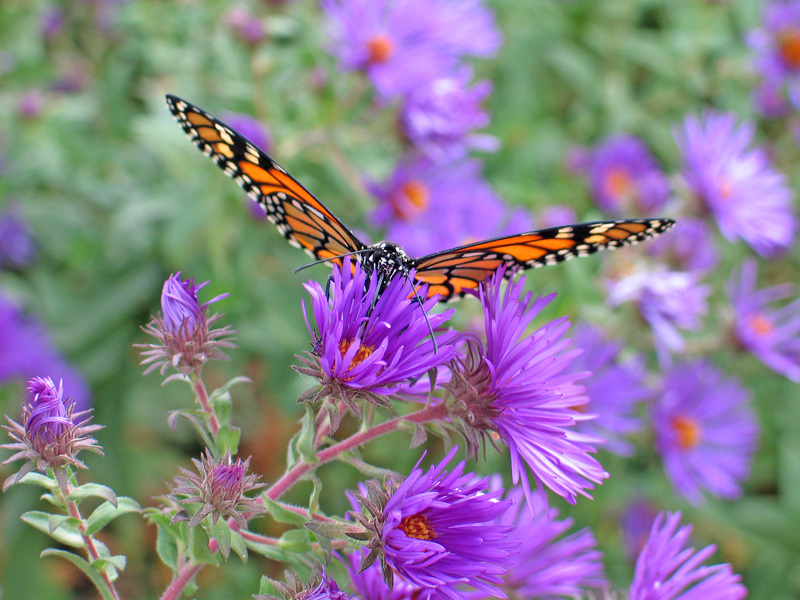 Native plants reward people and wildlife in many different ways. They improve the environment, create a sense of place, restore a balance between plants and pollinators and you get to enjoy their natural beauty. Below is a quick list of six good things native plants do and provide. They are a good value for your money. 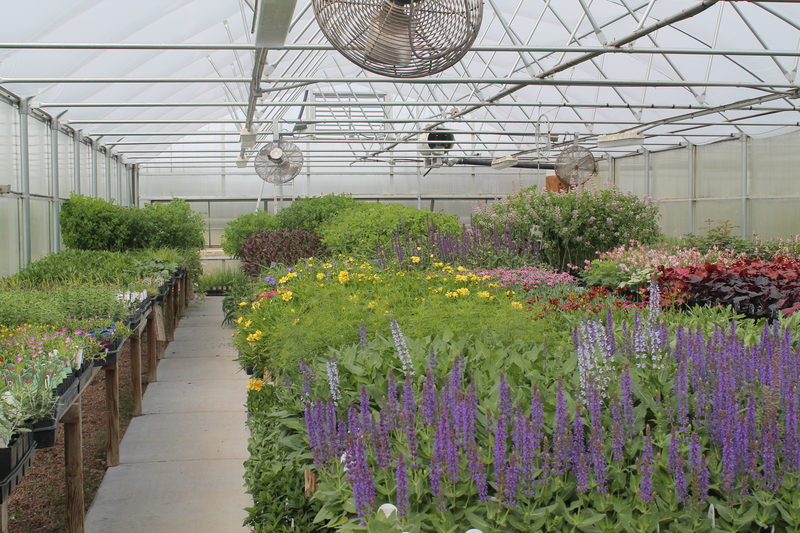 Having just finished the fall plant sale, we hear over and over the value of native plants. If matched to the site, they are resilient, quick-growing and long-lived. They persist and thrive, which saves money since you seldom need to purchase replacements. These plants are adapted to our climate extremes. Their deep roots, habits and forms quickly fill up your garden space, adding interest throughout the seasons. Pollinators will love your plants and you. With all the talk about pollinator declines including monarchs, don’t you want to help in any way possible? The most obvious way that you can help is by planting the native wildflowers they need for survival. Whether milkweeds for monarchs or plants that provide food and shelter for these imperiled native pollinators, your yard can become an oasis. 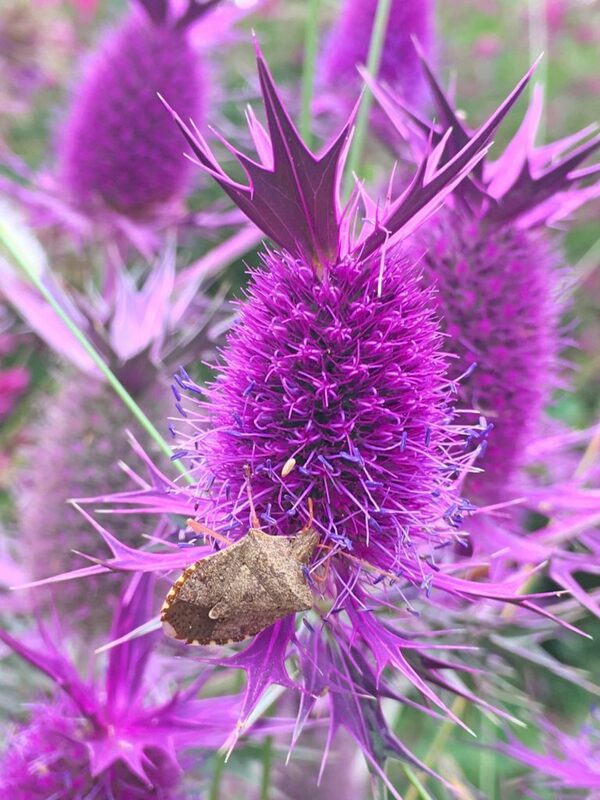 Why not create a habitat where up close encounters with many different butterflies, bees, insects, and even birds, can be admired? They are a versatile and diverse group of plants. 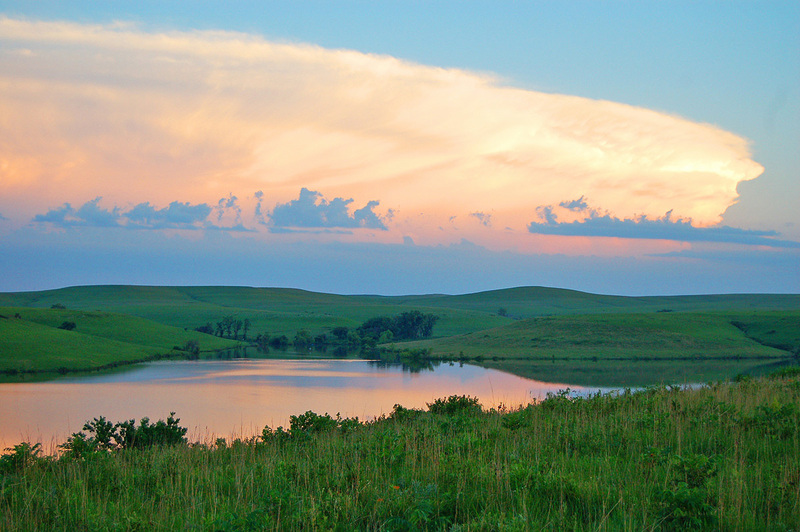 One of the amazing attributes of the prairie is its diversity. There are literally thousands of plants thriving in every possible landscape situation. Wet, dry, sun, shade, clay, sand and so on – there are a host of plants that will grow in your yard just as they do in the prairie. 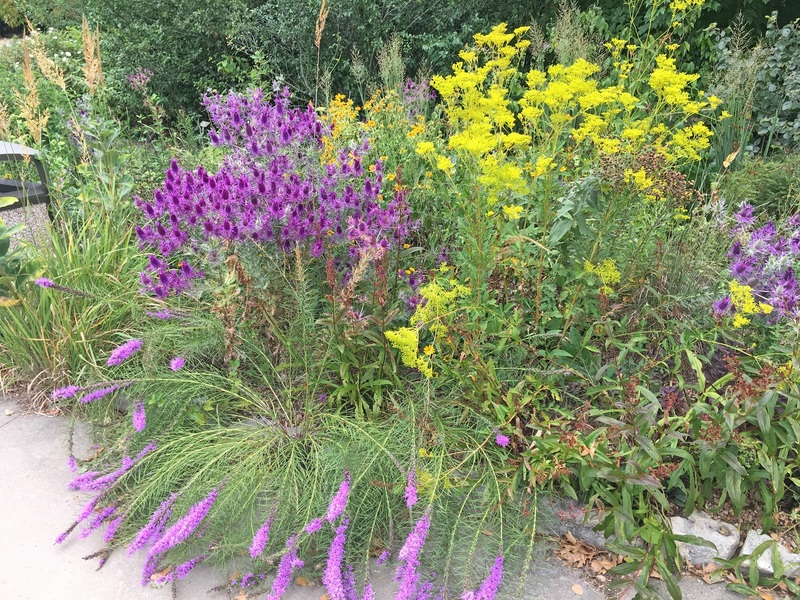 That diversity allows you to match native plants to your own part of the world and successfully develop a landscape plan. Notice I didn’t say native plants require no maintenance? 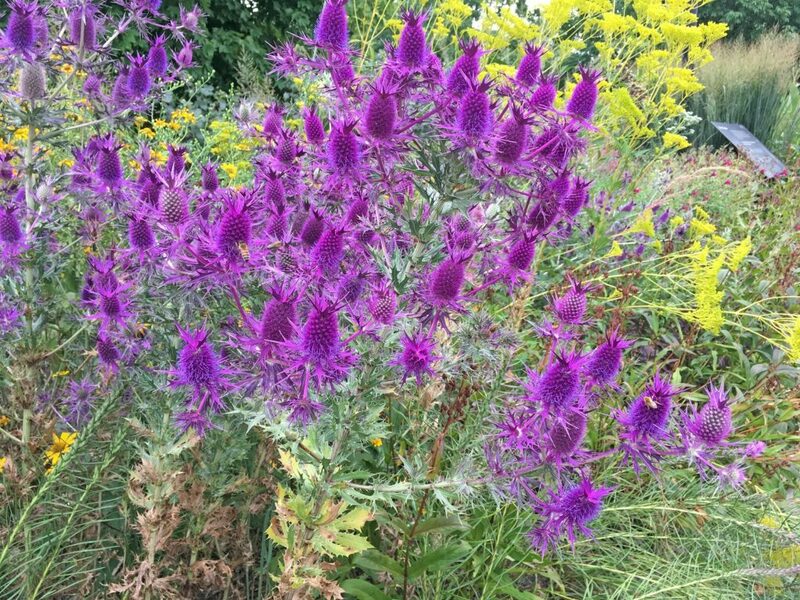 Even though native plants are drought tolerant and tough, they still require some maintenance each year in a landscape scenario. Again, think about a prairie. Native plants’ only requirements are to be cleaned off each spring before the next season’s growth. They survive pests and disease, require little or no fertilizing and demand extra water only during the severest drought. By spending less time maintaining your garden, it releases you from the obligation of burdensome yard work. Less time working and more time enjoying your landscape is always a good thing. 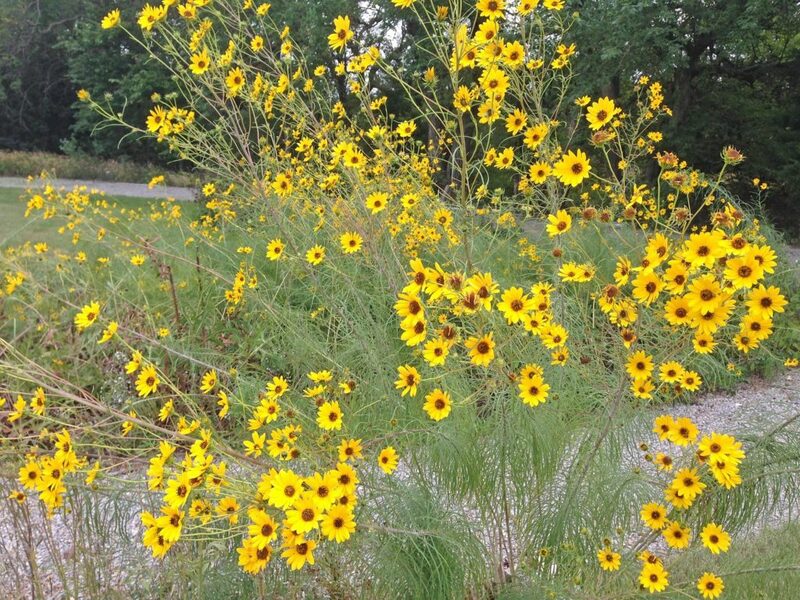 Native plants help with soil and water conservation. The root systems of native plants are vital to soil and water conservation. Grasses such as big bluestem and switchgrass have fibrous deep reaching roots that hold soil tightly, keeping it from eroding into waterways. A dense, thick prairie of grasses and wildflowers will slow the movement of water, allowing more to infiltrate the soil too. Those deep roots also tap into moisture during dry periods. Drought resistant plants require little if any supplemental water which saves you money in the long run. Enjoy the garden you created. 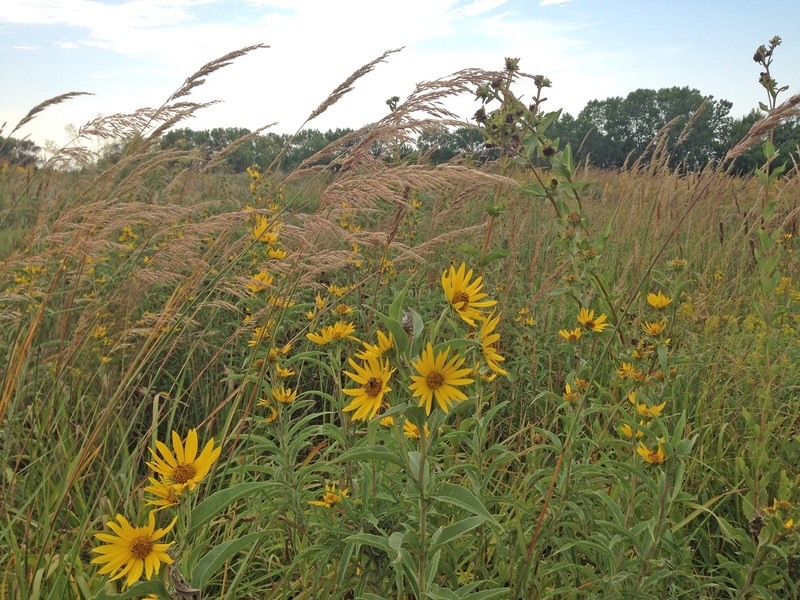 A prairie planting done right will offer you years of enjoyment. A habitat with attractive forms, textures and flowers that bloom at different times during the growing season will attract a host of pollinators and birds for you to watch. Those up close encounters will deepen your appreciation of these endangered species. Surrounding your home with native plants guarantees you’ll be rewarded time after time and year after year. It is a reward to you, but a gift to the natural world too.